You receive the legally full 33.3 lb. 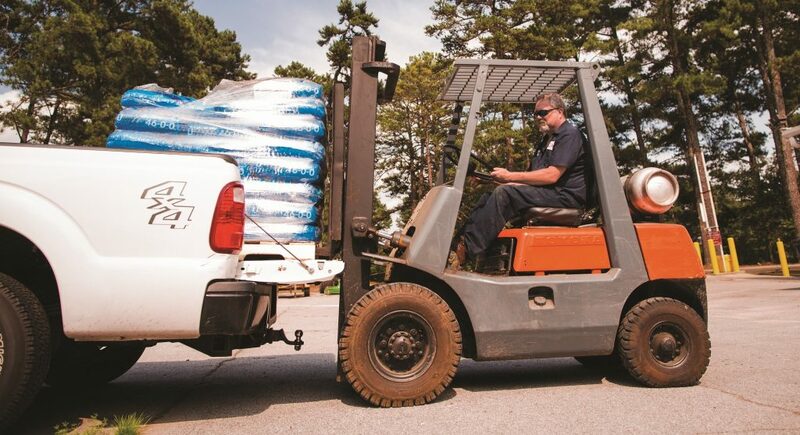 / 7.9 gallon capacity of fuel your cylinder was designed to hold = increasing lift run time. Better value than cylinder exchange programs, which typically fill below the legal 80% capacity, don’t include gauges on their tanks, and hope you exchange them before the cylinders are empty. You will need significantly less overall cylinder storage needed at your facility. The cylinders don’t routinely change hands, meaning you don’t inherit someone else’s abused equipment. 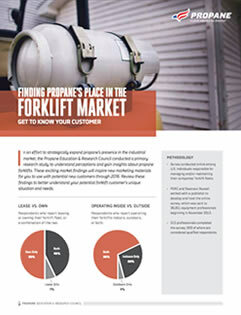 Proven safe delivery method: Texas Rail Road Commission documents show zero records of any on-site propane forklift cylinder refueling accidents involving any propane provider in Texas. Lightweight aluminum cylinders are available including all maintenance for routed customers. High-security multi-cylinder storage cages with locking systems can be provided. This ensures your supply will always stay safe and secure after delivery. Free on-site propane cylinder safety training available twice per year to all routinely scheduled customers. Contact us today at 972-247-6121 or order@northwestpropane.com to learn how our on-site propane cylinder refueling programs can save you time, money, and hassle.